Donnetta Monk grew up surrounded by poverty. Few people in her Cleveland neighborhood had been to college, and most “had to work day and night just to provide food on the table,” she says. She knew from a young age that she wanted to help herself and her community. She wanted to go to college, make something of herself and set an example for generations to come. Now a sophomore English major at Cleveland State, Donnetta maintains a high standard of academic success, and in so doing, she is beating the odds. Donnetta is the first in her family to get a higher education. Research has shown that first-generation students are less likely to complete their education than students who have at least one parent who went to college. At Cleveland State, Donnetta has gotten the added support she has needed to succeed. She credits CSU’s TRIO program, which serves first-generation college students, as having helped put her on track to graduate, while allowing her to thrive in ways she could never have predicted. These days, in addition to her academic achievements, she is a student leader and a mentor to students who come from similar circumstances. CSU senior Paul All is passionate about his purpose and his pursuits. He loves policy and bipartisanship, and just getting things done. But he wasn’t always this driven. The finance major (international business minor) started college in Texas, where he played Division III basketball and didn’t care much for (or about) school. Wanting to play Division I, Paul researched his options and visited CSU, where “something just clicked,” he says. He calls Cleveland State “a hidden gem,” his personal second chance, an opportunity to be more involved on campus and in the larger community. Paul cites his work with the Board of Trustees as one of his biggest accomplishments. “I’ve been able to sit at the table with the governing body of Cleveland State, making decisions that affect students, faculty and even the community of Cleveland. I’ve learned how to step back and make tough decisions, and have had the opportunity to voice the needs of students,” he says. Paul is as outspoken in his appreciation of Cleveland State as he is about supporting his fellow students. He is a fan of CSU’s urban location and its proximity to major businesses and industry. He appreciates the networking opportunities and connections he’s made with CSU alumni through the 1964 Society. And he’s passionate about the community service he’s been able to do through his fraternity. And he’s far from the only dynamo on campus. Lina Billings is a go-getter. The junior speech and hearing major is double minoring in psychology and linguistics, while holding down multiple jobs across campus. Lina works at the Jack, Joseph and Morton Mandel Honors College and at the Recreation Center, where she does administrative tasks and teaches Pink Gloves Boxing. She sits on the executive board of the Campus Activities Board (CAB), a job that requires a 10-hour weekly minimum commitment, but often involves twice that much time or more. Last year, as CAB’s inaugural diversity chair, she first had to figure out exactly what a diversity chair should do. “It was scary; there was nothing to go off of, but it was needed and turned out to be very successful,” she says. CAB helped put on a range of cultural events involving food, games, music and dancing, in addition to a diversity fashion show, and a National Coming Out Day awareness event, in which students shared powerful stories about embracing their true identities. It’s hard to imagine anyone giving more of herself in support of others and the campus community, but Lina says she gets plenty of support from CSU as well. She says the one-to-one tutoring available at CSU’s Tutoring and Academic Support Center has been very helpful. “I have speech and hearing classes that are really tough, so I go to tutoring weekly and I got all A’s in those courses,” she says. Of course, CSU doesn’t only provide on-campus opportunities that help students get the most of their college experience. Some CSU programs get students off campus, and into all kinds of learning adventures. This is a good combination of traits at Cleveland State, where the Viking Expeditions program rewards students who do service projects by giving them very low-cost opportunities to see other parts of the country and the world. To participate, students first volunteer locally for any of the organizations that partner with Viking Expeditions, among them: Wigs for Kids, Lakeside Men’s Shelter, the Greater Cleveland Food Bank and Habitat for Humanity. Amanda got involved with Viking Expeditions right after freshman orientation. She has traveled to Oak Ridge, Tenn.; Williamsburg, Va.; and New Orleans, her favorite destination. “I loved working with the community because of their persistence and determination to recover from Hurricane Katrina,” she says. “Volunteering in the Lower Ninth Ward was an eye-opening experience. Almost 11 years later, you could still witness the devastation of abandoned homes from flooding. The most rewarding aspect of the trip was working with a different affiliate every day, while building lifelong friendships,” she adds. It is worth noting that, without hearing any of these remarkable stories, CSU’s relatively new vice president for enrollment services, Cindy Skaruppa, already had all the information she needed about the caliber of CSU students. 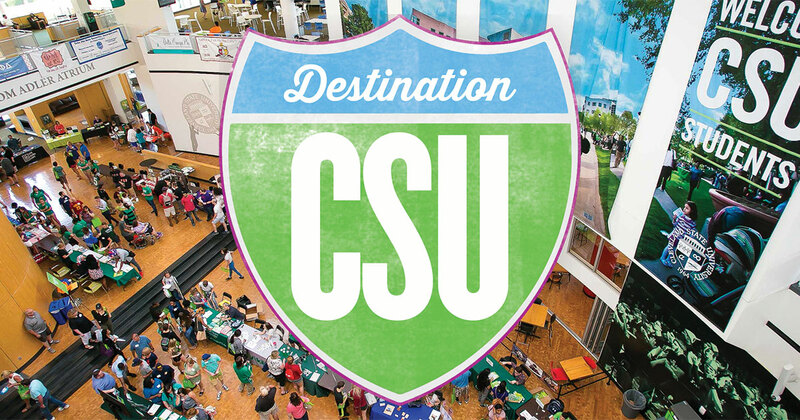 In just one year, Dr. Skaruppa has met hundreds of “graduate and undergraduate students, leaders, tour guides and research assistants,” and has come to one inescapable conclusion: CSU students “are just truly phenomenal. “They are serious about their studies; they are committed to diversity. 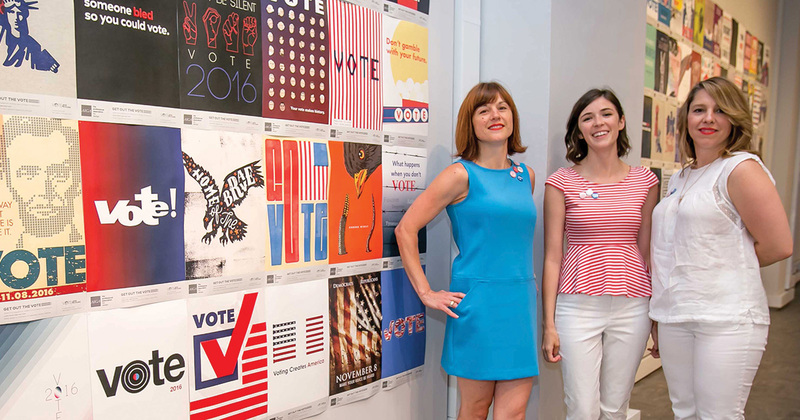 They are also passionate, not just about the campus community, but about opportunities for service to enrich the Greater Cleveland community,” she says. Dr. Yarbrough takes particular pride in two programs. One is a “newly energized” Veterans Student Success Program that provides support and wraparound services targeted to veterans’ unique needs, and has earned national recognition for excellence. Another is Lift Up Vikes, now in its second year, which serves Cleveland State students who face hunger, lack affordable housing or need help buying textbooks. These programs are notable for the particular vulnerabilities of the populations they serve, but they are part of Cleveland State’s overarching commitment to serving the needs of all students, a commitment Dr. Yarbrough says students clearly value. 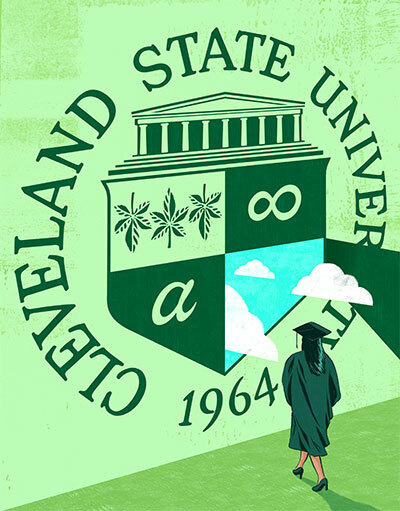 “Whether they’re starting at Cleveland State, or transferring from other institutions, students are immensely appreciative of the support and opportunity we provide for their academic success, as well as their success outside of the classroom,” he notes. Cindi Deutschman-Ruiz is a freelance writer who also teaches courses in communication at several institutions around Cleveland.